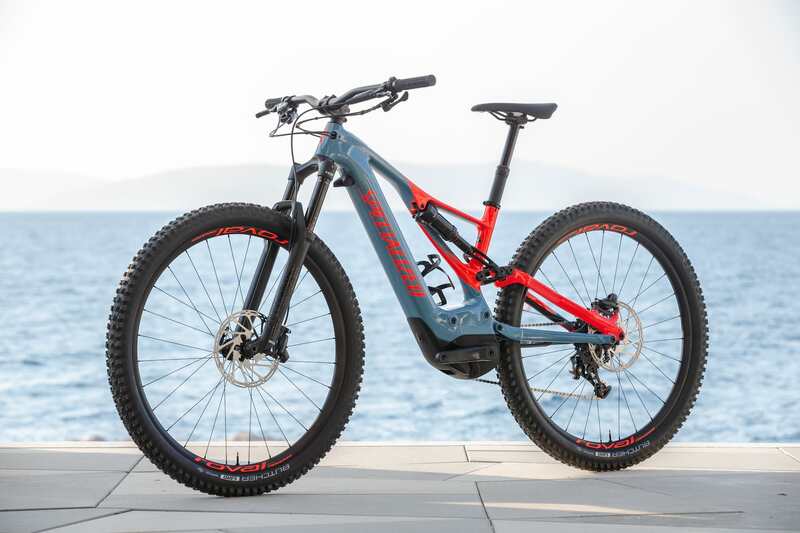 Three years on from the first Levo, Specialized is back with an all new, designed from the ground up addition to the world of e-bikes. The new Turbo Levo shares more with its un-assisted cousin the Stumpjumper than it does its predecessor and that is quickly apparent when you let it loose on the trail, but what’s really changed? For hiding in the desert? 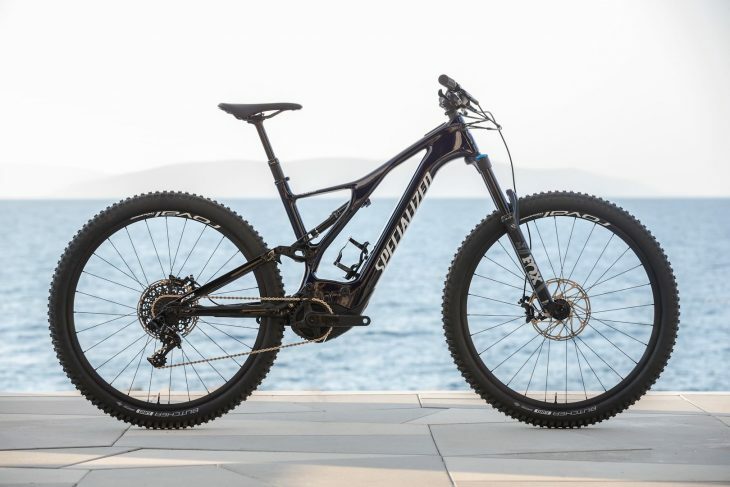 Specialized has approached this bike with the clear aim of making a bike that rides, well, like a bike. 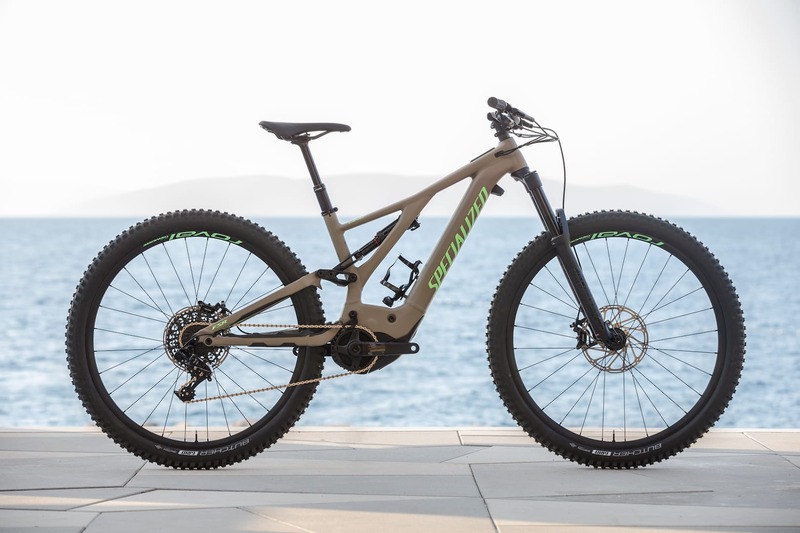 That might seem obvious, but where some of the competition have done a good job of bolting a decent frame to a good motor and selecting nicely spec’d components to finish it off, Specialized took a different approach and designed everything to work together from the ground up. Starting with the frame, there’s no longer a big chunk of downtube missing to accommodate the battery meaning it’s stiffer, stronger and all round lighter. 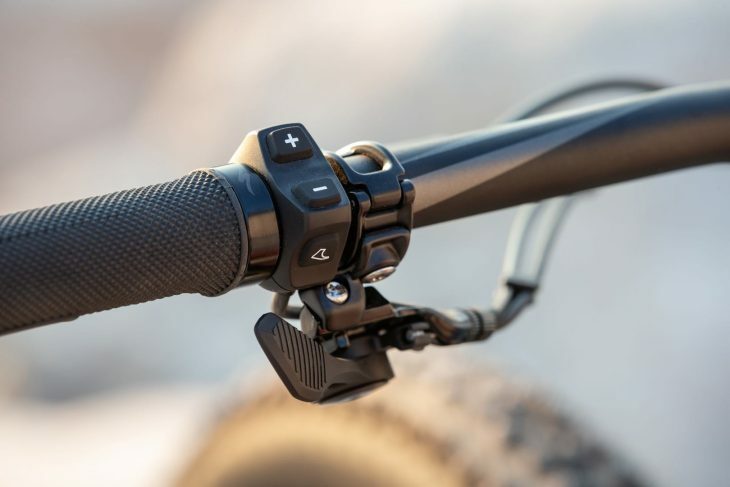 The bridge across the rear of the front triangle has moved slightly, mirroring the Stumpy, to eliminate flex between the shock mounts, and the swing arm link has moved to behind the pivot to improve stiffness. Moving down to the motor this is where the symbiotic design process really starts to take great leaps forward. Lots of weight saving round the motor. 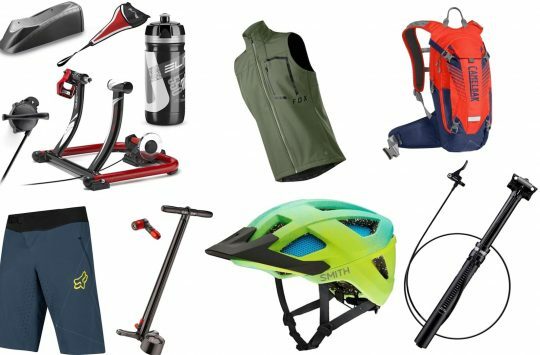 This bits that make you go (just add legs). Specialized has done away with a motor mount and instead designed the frame and motor to be directly compatible, instantly shedding 400g from the overall weight. The motor itself has a new magnesium casing and combined with the savings in frame weight from alterations to the carbon layup, the full bike weight comes in at under 20kg, a noticeable saving off the first generation Levo and quite possibly a new benchmark for featherweight full sus e-bikes? 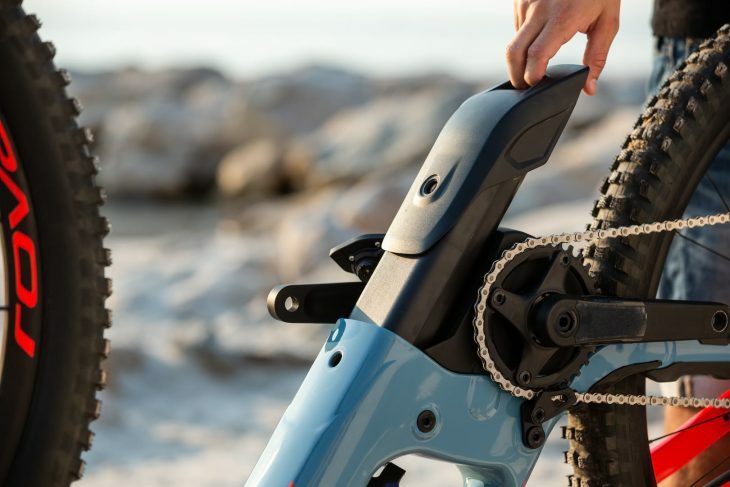 Budget watchers, don’t worry: the new Turbo Levo Alu frames are also lighter with the new model being lighter than the old carbon model. The batteries have been redesigned and now slide into the frame from the BB area, snuggly hiding themselves away in the downtube. 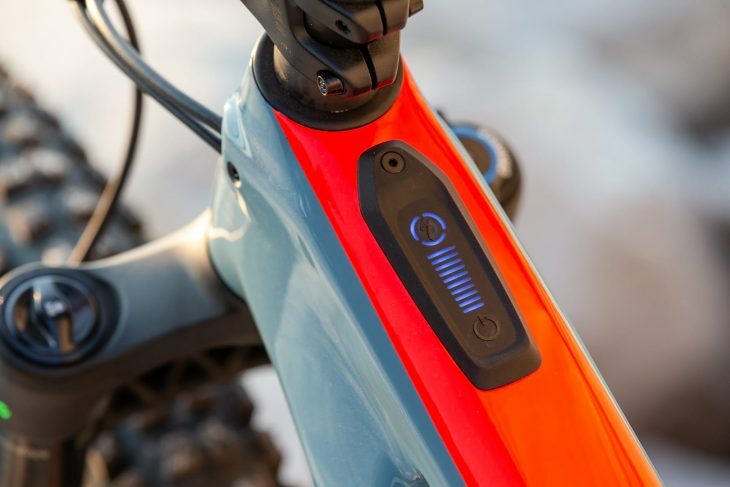 Making the battery physically a little longer has allowed Specialized to reduce the overall diameter of the downtube and add to the bike’s svelte look. More impressively still, on the Expert and S-works models the same space now hides a massive 700Wh battery. 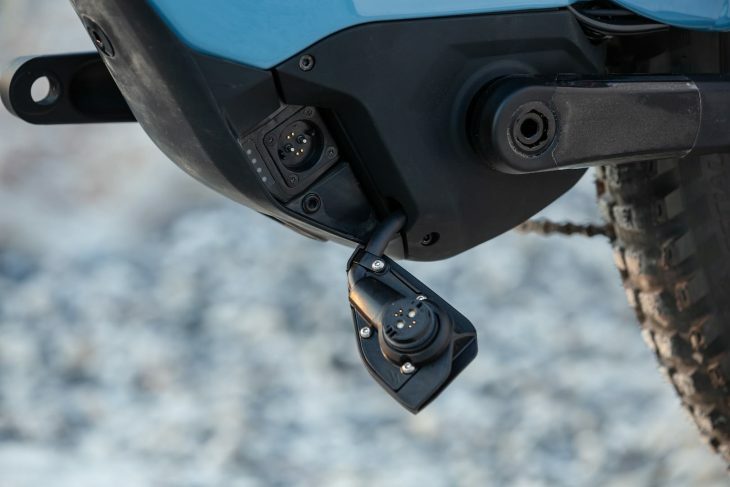 The battery is easily removable by flipping the bike upside down, undoing a single Allen bolt and using the built in rock guard handle to slide the battery out for charging away from the bike. Specialized says it has tested the removal and re-fitting of the battery and even after 1,000 removals there was no sign of the battery rattling in the downtube, so you should be rest assured this bike will stay clunk free for many years to come. Lastly, the battery comes with a two year or 500 charge cycle warranty and Specialized is committed to a minimum 10 year part support on all their bikes from the date of last manufacture of that model, so there’s no fear of you needing parts that aren’t available. 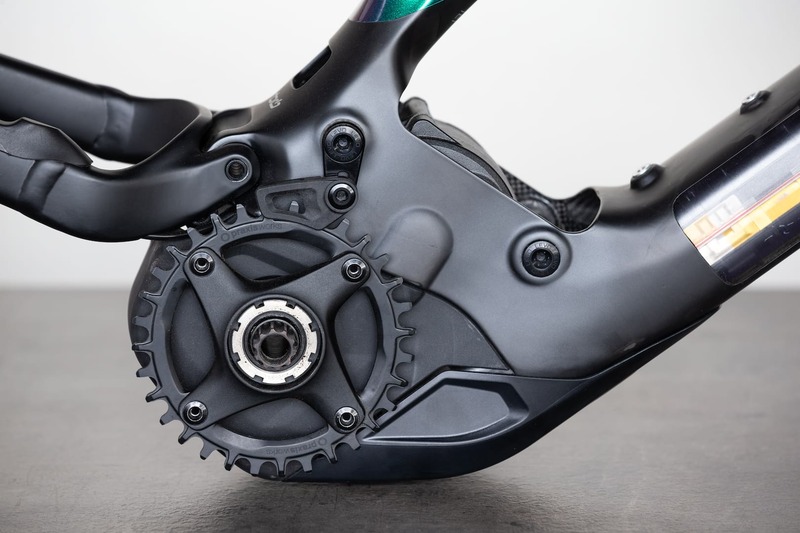 Another big change you’ll have noticed is the switch in wheel size. 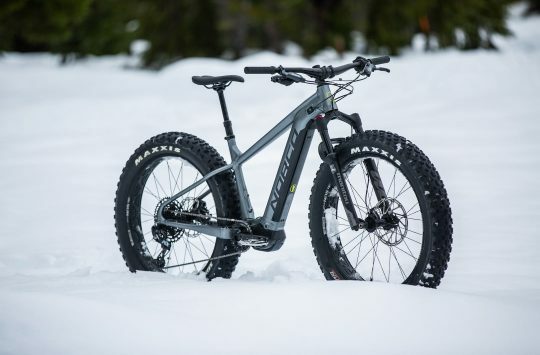 The Levo no longer comes wearing a set of monster truck 650B+ wheels and tyres and is instead shod with 29er wheels running comfortably large 2.5″ tyres. Whilst you could switch back to 650B+ on this bike should you want to (dropping the ride height slightly, immediately fixable by turning the flip chip in the rear shock mount), at no point was I wishing for more float or grip and the improvements in trail feedback, precision and flexibility to have a greater choice of tyres has me sold on the 29er set up. 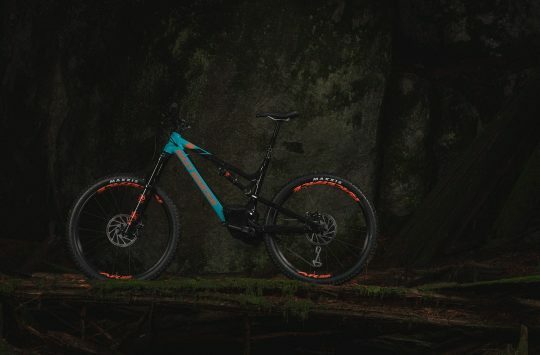 In terms of other future proofing choices, Specialized has spec’d the new Turbo Levo with standard metric shock mounts so you can easily swicth out or upgrade to other brands and models of shocks should you wish to. All M, L and XL models come with a minimum 150mm dropper post (160mm on the M, L and XL Expert and S-works, Small models come with either 125mm or 130mm posts), all are stealth routed and include a clever little loop hidden inside the frame to ensure smooth running of your post. 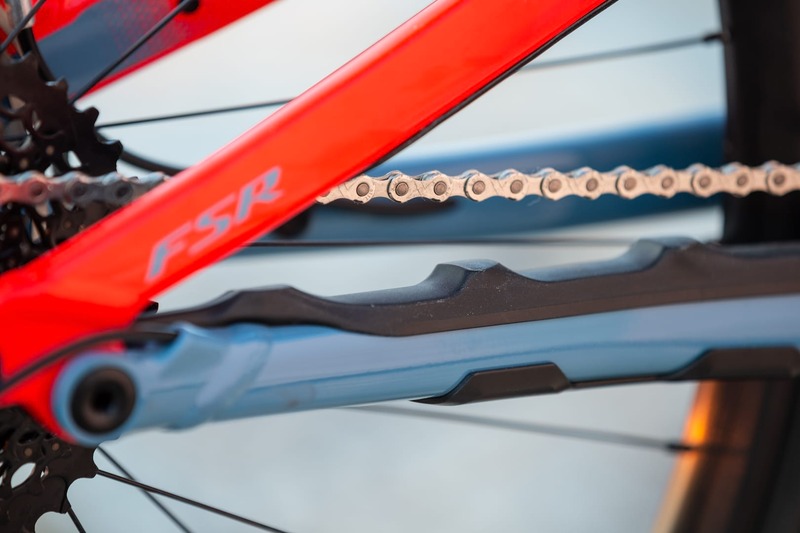 None of the bikes in the range come with 12 speed, which might seem a little odd on such highly spec’d bikes, but it turns out SRAM is insisting all e-bikes fitted with 12 spd run NX cassettes, which on the S-Works would add 370g to the build weight. 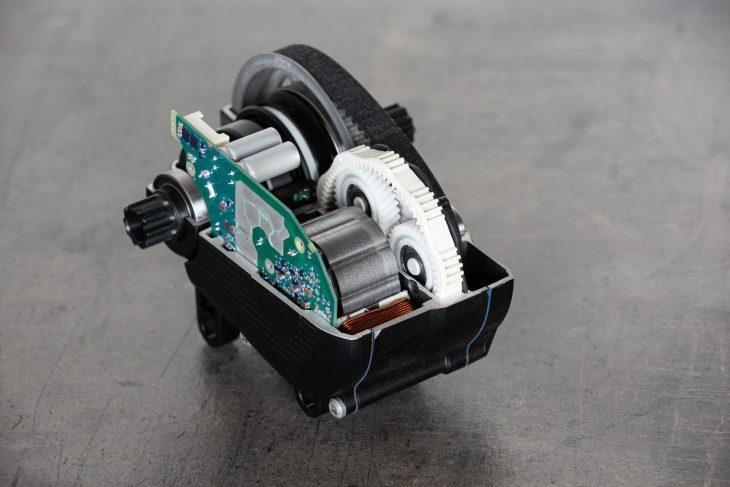 With a motor as intuitive and progressive as the new Brose who needs that extra gear anyway? Getting into the geek stuff, the suspension leverage curve has been tweaked to avoid big hit blowouts (I rode the demo bike I was given pretty darn hard and failed to get it close to blowing out) as well as providing improved mid stroke support. The shocks are custom tuned to the Levo meaning less volume in the airspring and more damping than you’d find on an equivalent Stumpjumper. 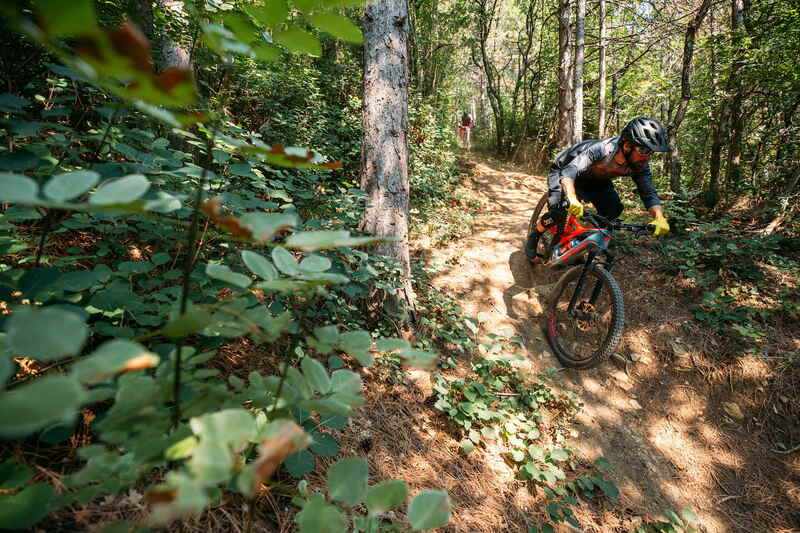 All in all the new Turbo Levo is a lighter, stiffer and more powerful package. It’s been well thought out and thoroughly redesigned. To hear my thoughts on it once I was let loose on the trail head over here. Check out Tom’s thoughts on the ride experience. Hi, anyone know the waterproof ratings?, would the charge point be ok if submerged? Shame they don’t do the larger battery in the lower grade bikes.